is the collective term used for all the Abrahamic religions, which profess a belief in a monotheistic deity as the creator of the universe that is also the God of Abraham, Jesus and Muhammad. 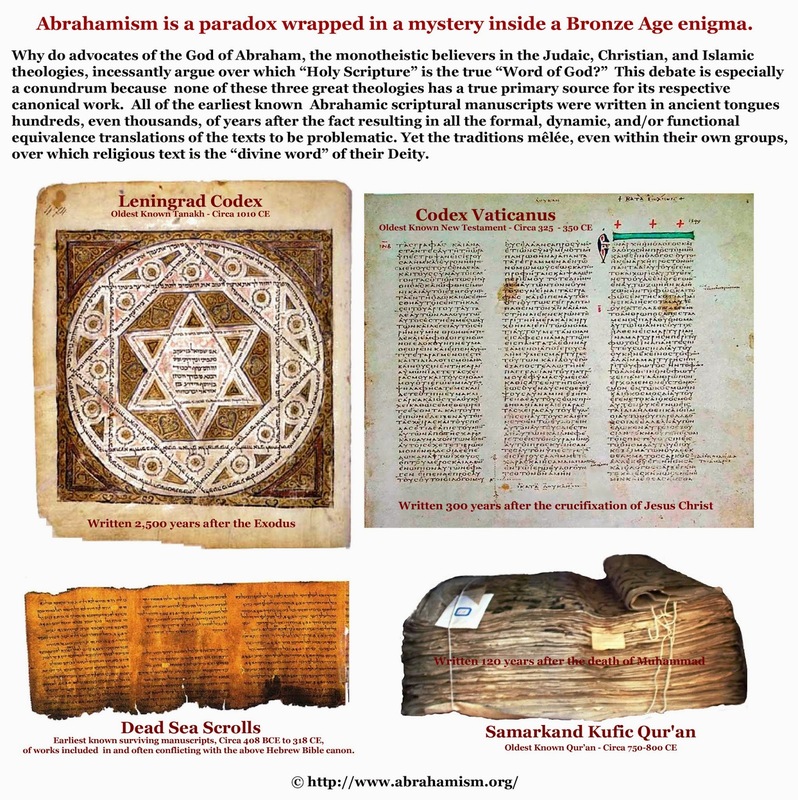 Abrahamism is a paradox wrapped in a mystery inside a Bronze Age enigma. Abrahamism is the collective term used for all the Abrahamic religions, which profess a belief in a monotheistic deity as the creator of the universe that is also the God of Abraham, Jesus and Muhammad. All Abrahamism faiths are Middle Eastern in origin, tracing their common origin to Abraham and his God. The Jews claim to descend from Isaac, son of Abraham by Sarah. The Christians maintain they are spiritually descended from Jesus Christ who came from the lineage of King David, also a descendant of Abraham. The Muslims claim they descended from Ishmael, a son of Abraham by Hagar. 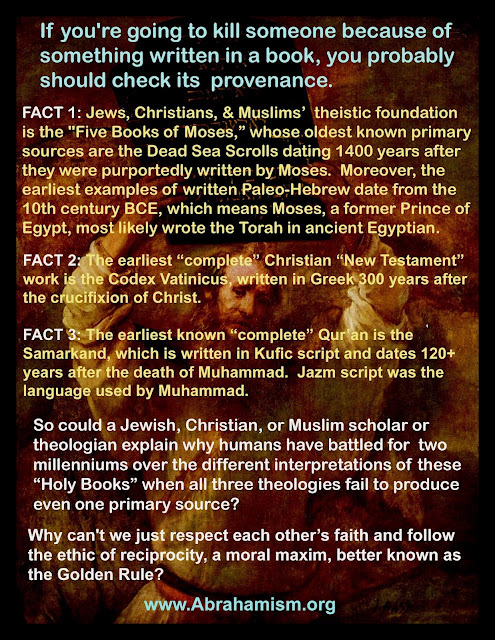 These three great religions differ in their rituals, ceremonies, and observances, yet they worship the same God of Abraham, creator of the universe under a variety of names: Adonai, Allah (Islam's Quran describes 99 other names), Avinu, Christ, El Shaddai, Elohim, Elyon, God the Father, Godhead, Heavenly Father, Holy Ghost, Holy Spirit, Holy Trinity, Jehovah, Jesus, Kurios, Pateras, Theos, and Yhwh. 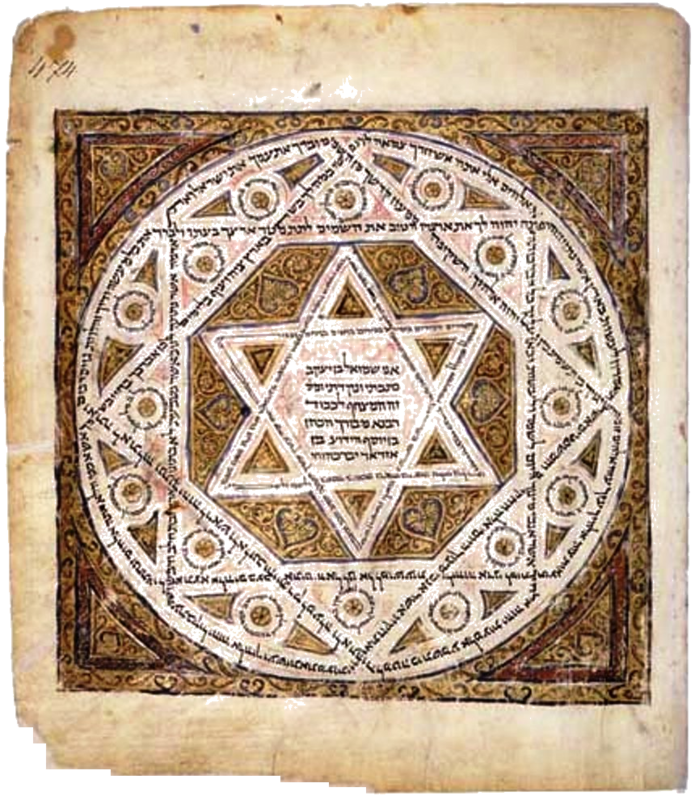 Leningrad Codex cover page, Circa 1010 CE, is written by Shmuel ben Ya'akov and aside from the Dead Sea Scrolls, its Masoretic text is the oldest known Tanakh. One Dead Sea Psalms scroll courtesy of the Israel Antiquities Authority and the Library of Congress. I. The Tanakh, the 39 books of the Jewish Bible, is an Acronym, based on the letters T (for "Torah"), N (for "Neviim," the Prophets), and K (for "Ketuvim," the Sacred Writings). The Jewish faithful believe it is the compendium of the teachings of God to human beings in document form. For centuries, scholars examined the two ancient texts to elucidate the original language of the Five Books of Moses: the Masoretic Text and the Septuagint. The Masoretic Text is a traditional Hebrew text finalized by Jewish scholars around 1000 C.E. The Leningrad Codex is the oldest complete Masoretic manuscript and it was written in Cairo on parchment in the year 1009. This Codex is inextricably bound up with the Aleppo Codex, which is several decades older but the Aleppo is incomplete and undated. This makes the Leningrad Codex the oldest complete codex of the Tiberian mesorah that has survived intact to this day. The Septuagint is a Greek translation of the Torah created by the Jews of Alexandria in the third century B.C.E. (The other books of the Hebrew Bible were translated over the course of the following century.) According to Septuagint tradition, at least 70 isolated ancient scholars came up with identical Greek translations of the Torah. Before the discovery of the Dead Sea Scrolls, the oldest Hebrew language manuscripts of the Bible were Masoretic texts dating to the 10th century. These manuscripts, however, do not pre-date Dead Sea Scrolls, which have pushed the date back of the oldest known biblical source a millennium. The Dead Sea Scrolls transcription and translation, however, has revealed that there are numerous and quite significant differences between the accounts in the Masoretic text of the Leningrad Codex, as well as the Septuagint. Jewish tradition considers only the Leningrad Codex Masoretic text as kosher discarding any Torah that does not follow the text verbatim as non-kosher. Today, Biblical scholars are debating what to do about the the 11th Century Masoretic text and should it be modified according to the Dead Sea Scrolls, which are nearly a millennium older than the Leningrad Codex. Moreover, some of the Dead Sea Scrolls actually have more in common with the Greek Septuagint than the traditional Hebrew Masoretic Text, indicating that the Greek scribes must have been translating from Hebrew texts that resembled the Dead Sea Scrolls. Today, scholars debate, which version of the Tanakh should take precedent in settling the numerous contradictions in the works. Is the Masoretic Text itself even kosher? Professor Ulrich sees far more sweeping implications for the Old Testament (the Christian term for what Jews call the Tanakh). Seated at a customized computer surrounded by galley proofs, infrared photographs and marking pens in six coded colors, the red-bearded, 61-year-old scholar surveys his 23 years of labor. "I feel like the person who put the last stone atop the pyramids," he says. "I’m as weary as can be, but I’m glad I did it." ... His conclusion: In ancient times, two or more contrasting editions of many biblical books existed side by side and were all regarded as Scripture. In other words, back then the Old Testament was far different from what we think of today. Ulrich concludes that there were multiple editions for at least these books: Genesis, Exodus, Numbers, Joshua, Judges, 1 and 2 Kings, 1 and 2 Samuel, Jeremiah, Ezekiel, Daniel, Psalms and Song of Solomon. Ulrich spells out his theory in "The Dead Sea Scrolls and the Origins of the Bible." ... "If Ulrich is on the right track, we’ve got some major thinking to do,"acknowledges John H. Walton, a staunchly conservative professor at Chicago’s Moody Bible Institute. The problem as he sees it: "If it could be demonstrated we have two biblical traditions arising independently of one another, instead of one being a revision or corruption of the other, then which one are you going to call God’s Word?" Finally, it is important to note that pivotal theological accounts found in the Five Books of Moses, such as Noah's Ark 2250 BCE, Abraham's revelation 2000 BCE, Destruction of the wall of Jericho 1400 BCE, the Exodus 1313 BCE, David kills Goliath 1020 BCE, and Solomon's Temple 997 BCE, all occurred a millennium or two before the earliest known Dead Sea Scroll. The absence of even one primary source from the time of Moses relegates these and other key tenants of the Hebrew theology to being products of oral lore that span over 1400 years before the first known Torah appears. Moreover, the earliest examples of the Dead Sea Scrolls are written in the Paleo-Hebrew text. Paleo-Hebrew, the earliest form of the Hebrew language, dates back to the 10th century B.C.E, which means that Moses, a former Prince of Egypt, could not have written the Torah in any form of Hebrew. If oral tradition is correct and Moses did write the Torah, the work was most likely done in middle to late Egyptian hieroglyphs or a Proto-Sinaitic script. 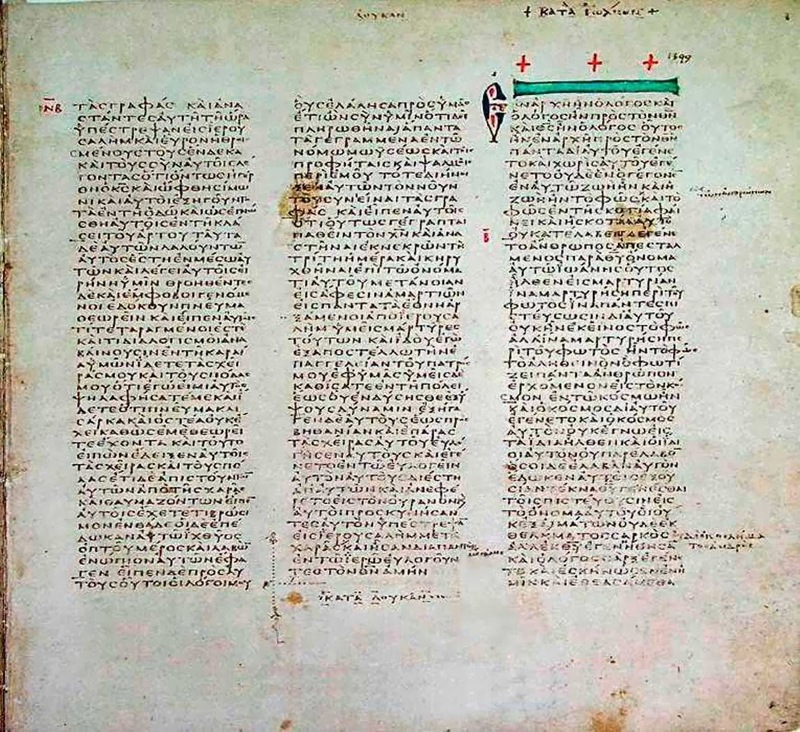 Codex Vaticanus, Circa 4th century,Ending of Luke and Beginning of John in Codex Vaticanus, manuscript of New Testament written on vellum in elegant Greek uncial letters. 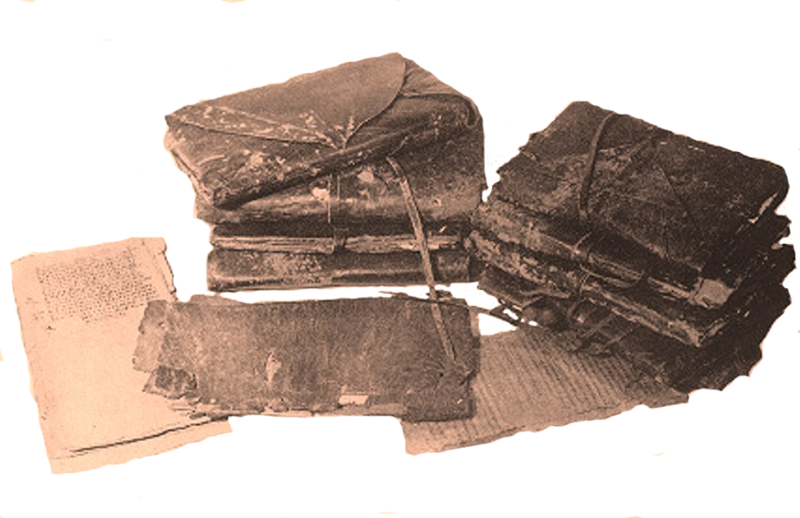 The Nag Hammadi texts, a 13-volume library of 4th Century Coptic biblical texts so named because they were found hidden beneath a large boulder near the town of Nag Hammadi in upper Egypt. The texts have been dated to 300-350 CE. These codices include competing gospels as well as apocalyptic revelations. The works assert the primacy of spiritual and intellectual knowledge over physical action and material well-being. The Apocryphon of John, records a risen Christ revealing to John, son of Zebedee, the truth of creation. The Nag Hammadi texts also include fully preserved Gospels of Thomas, which do not follow the canonical Gospels in telling the story of Jesus’ birth, life, crucifixion and resurrection. The gospel text provides Christians with an early collection of Jesus’ sayings, previous unknown to the faithful. 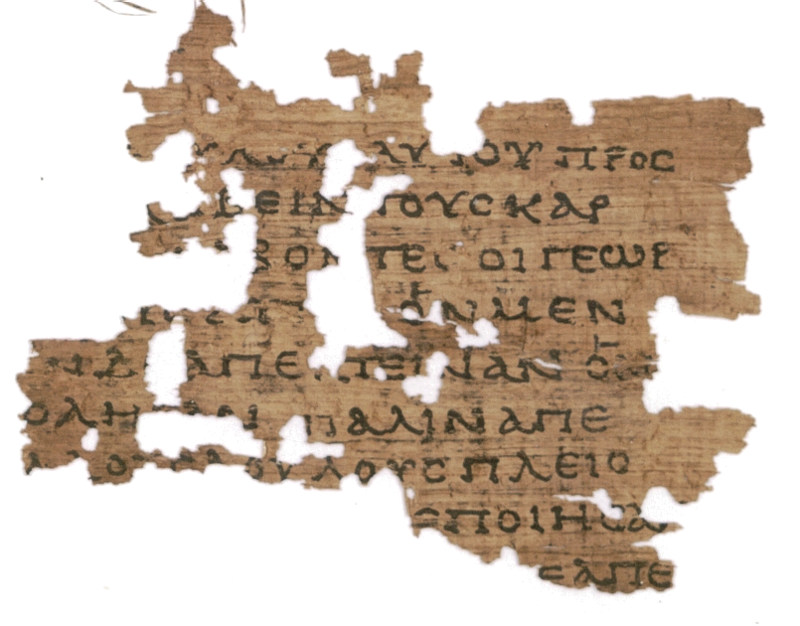 In the late nineteenth archaeologists discovered the Oxyrhynchus Papyri at an ancient rubbish dump near Oxyrhynchus in Egypt. The manuscripts date from the 1st to the 6th century AD and include the earliest known fragments of the Christian New Testament: Papyrus 90 with the text of John 19:1-7 in Greek dated palaeographically to the late 2nd century and Papyrus 104 with the text of Matthew 21,34-37 in Greek dated palaeographically to the late 2nd century. Also found were three codices of the Gospel of Thomas Papyrus Oxyrhynchus 1, 654, and 655 in Greek also dated to the late 2nd Century. Papyrus 90 page of the codex with text of John 19:1-7 (total 258 words are visible) in Greek dated palaeographically to 170-240 CE . Papyrus 104 small fragment of the codex with text of Matthew 21:34-37 (total of 110 legible letters are visible) in Greek dated palaeographically to 170-240 CE. These fragments, later dating disputes aside, are not written in Hebrew or Aramaic (the language of Jesus and his Apostles) but like the four uncial codices, they are written in Greek. 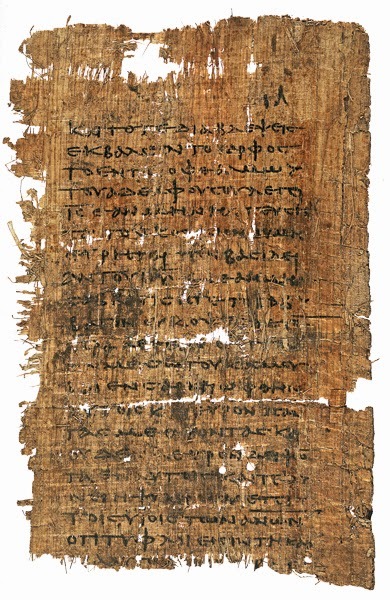 Also found in the Oxyrhynchus Papyri were three 2nd Century codices of the Gnostic Gospel of Thomas. 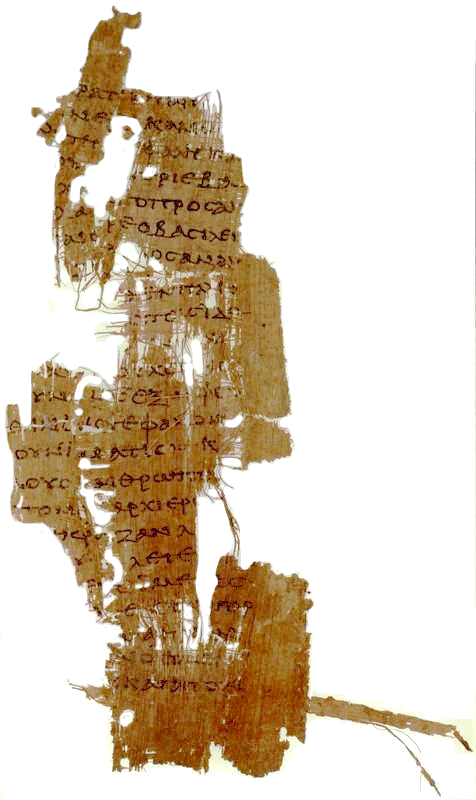 In 1945 a collection of biblical texts were discovered near the Upper Egyptian town of Nag Hammadi, which included the complete Gospels of Thomas. They consisted of twelve leather-bound papyrus codices buried in a sealed jar with the writings comprised of fifty-two ancient texts based upon the teachings of several spiritual leaders, written during the same 4th Century period of the Codex Vaticanus and Codex Sinaiticus. These codices include the works of competing gospels as well as apocalyptic revelations. The Nag Hammadi Christian codices assert the primacy of spiritual and intellectual knowledge over physical action and material well-being. The Apocryphon of John, records a risen Christ revealing to John, son of Zebedee, the truth of creation. The Nag Hammadi fully preserved Gospels of Thomas do not follow the Christian canonical Gospels in telling the story of Jesus’ birth, life, crucifixion and resurrection. The Thomas gospel text, instead, provides Christians with an early collection of Jesus’ sayings, previous unknown to the faithful. The Nag Hammadi Christian codices are not deemed to be part of any Biblical canon of any mainstream Christian denomination. On the contrary, these early Christian works have been deemed by Roman Catholic, Orthodox Catholic, and Protestant officials as part of what is called the New Testament apocrypha. A 2nd Century "primary source" that is the subject of a great deal of research, debate and controversy among scholars is the Antiquities of the Jews by Romano-Jewish historian Flavius Josephus, which was written around 93–94 AD. Antiquities of the Jews includes two references to biblical Jesus Christ in Books 18 and 20 and a reference to John the Baptist in Book 18 The earliest known complete Antiquities of the Jews manuscript, however, is in the Ambrosianus, which dates from the eleventh century. 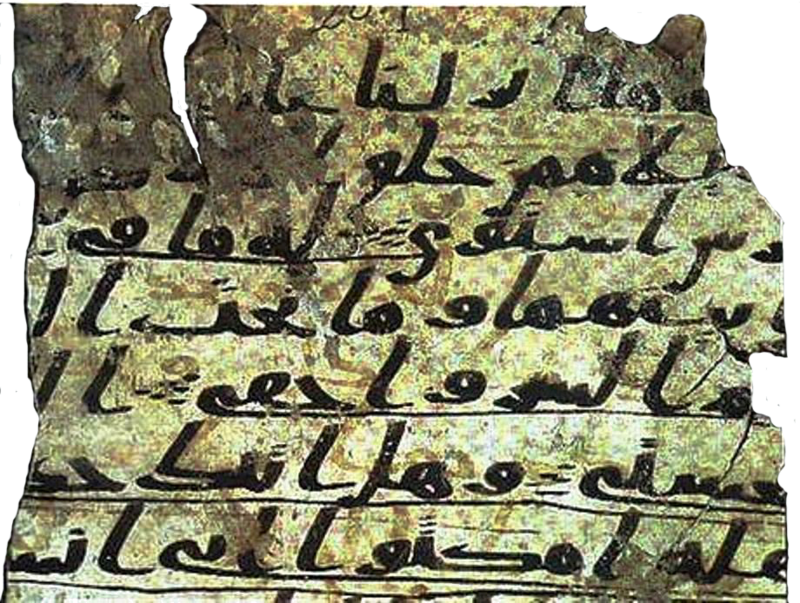 One of the Qur'an fragments found in 1972 in the loft of the Great Mosque in Sanaa, Yemen, and photographed by Doctor Gerd R. Puin who was in charge of the project between 1981 and 1985. The light brown text are from the time of Muhammad, while the darker text is from the 8th Century. The writings are from verses 3 to 10 of Sura 20 (Taha). III. The written Qur'an's compliation spanned several decades and forms an important part of early Islamic history. Muslim accounts say it began in the year 610 when the Angel Gabriel (Arabic: جبريل,) appeared to Muhammad in the cave Hira near Mecca, reciting to him the first verses of the Sura Iqra (al-`Alaq), thus beginning the revelation of the Qur'an. Throughout his life, Muhammad continued to have revelations until before his death in 632. Muslim and non-Muslim scholars disagree on whether Muhammad compiled the Qur'an during his lifetime or if this task began with the first caliph Abu Bakr as-Siddiq (632-634). Once the Qur'an was compiled, due to the unanimity of the sources, Muslims maintain that the Qur'an that we see today was canonized by Uthman ibn Affan (653-656) thirty years after the death of Muhammad. Upon the canonization of the Qur'an, Uthman ordered the burning of all personal copies of the Qur'an. Unlike the Jewish Tanakh (oldest known work written two millenniums after the Abraham's revelation) and the Christian "New Testament" (oldest known work written 325 years after the birth of Jesus Christ) the oldest known Qur'an is believed to be written during or shortly after Muhammad's death. The oldest work that reflects the text in the modern Qur'an is known as the Samarkand Kufic Qur'an and can be found in Tashkent, the capital of Uzbek. The 7th century date of this work, however, is disputed by numerous scholars because the Samarkand Kufic Qur'an is written in kufic, which dates from the mid to end of the 8th century (750-800 CE). The script used during (Muhammad: 570-632 CE) and after Muhammad's days was the Jazm script. Therefore, this Qur'an dates 120 years, not 30, after Muhammad's death. In 1972 the Sana'a palimpsest manuscripts were found, along with many other Qur'anic and non-Qur'anic fragments, in Yemen during restoration of the Great Mosque of Sana'a. This manuscript is written on parchment, and comprises two layers of text. The upper 8th Century text conforms to the Uthmanic Qur'an, whereas the much older lower text contains numerous variants to the traditional Islamic text. The parchment upon which the lower codex is written has been radiocarbon dated with 99% accuracy to before 671 CE, with a 95.5% probability of being older than 661 CE and 75% probability from before 646 CE. These Qur'an texts, therefore, appear to be a primary source manuscripts from a time not exceeding 39 years after Muhammad's death. These earlier Qur'an manuscripts, however, conflict with the later Uthmanic Qur'ans. Like the Jews and Christians who have not updated their works with much earlier textz, Muslims have not edited the text in Uthmanic Qur’ans to reflect the numerous variants found the Great Mosque of Sana'a's much earlier Qur’an manuscripts. Moreover, the foundation history of Islam, according to Qur'an, is based on the claim that Muslims descended from Ishmael, a son of Abraham by Hagar near the year of 2000 BCE. Ancient manuscript scholars agree that the primary source of this account, if found, would be written or chiseled in works that would date some 2,000 years before the Dead Sea Scrolls and 2,670 years before the Sana'a Qur’anic manuscript. IV: The latest Abrahamic text that has a significant amount of adherents (estimated at 15,000,000) can be found in yet another divinely revealed "biblical" work known as the Book of Mormon. This work is considered the sacred text of the Latter Day Saint movement, which adherents believe contains writings of ancient prophets who lived on the American continent from approximately 2200 BCE to 421 CE. The work was first published in March 1830 by Joseph Smith as The Book of Mormon: An Account Written by the Hand of Mormon upon Plates Taken from the Plates of Nephi. The work was produced, according to Smith, on a collection of ancient writings that were engraved on golden plates by ancient prophets. Smith claimed that the last prophet to contribute to the book was a man named Moroni, who buried the golden plates in a hill in present day Wayne County, New York in the 5th Century CE. Moroni then returned to earth in 1827 as an angel, revealing the location of the golden tablets to Smith. The Angel instructed Smith to translate the tablets to be utilized as evidence of the restoration of Christ's true church in the latter days. The now translated Book of Mormon goes on to describe a people whom God had led from Jerusalem to the Western Hemisphere 600 years before Jesus’ birth. According to Joseph Smith's story, and also according to the book's narrative, the Book of Mormon was inscribed on the gold plates in unknown characters referred to as "reformed Egyptian." This newest testament of Christianity, translated from the reformed Egyptian golden plates, offers biblical scholars a number of original and distinctive doctrinal stories on Abrahamism subjects such as the fall of Adam and Eve, the nature of the Atonement, the end of the world, physical and spiritual death redemption, and the organization of a Latter-Day Church of Jesus Christ. The pivotal event of the book is Jesus Christ's appearance in America shortly after his resurrection around 30 CE. Unfortunately, for the faithful and scholars alike, the primary source golden plates dating from 2200 BCE to 421 CE were returned to the Angel Moroni upon Smith’s publication of the Book of Mormon. Even though Abrahamism's primary sources are woefully lost, the religion remains the largest of the three major divisions in comparative theology, with Indian religions (Dharmic) and East Asian religions (Taoist) following a far second and third in faithful adherents. 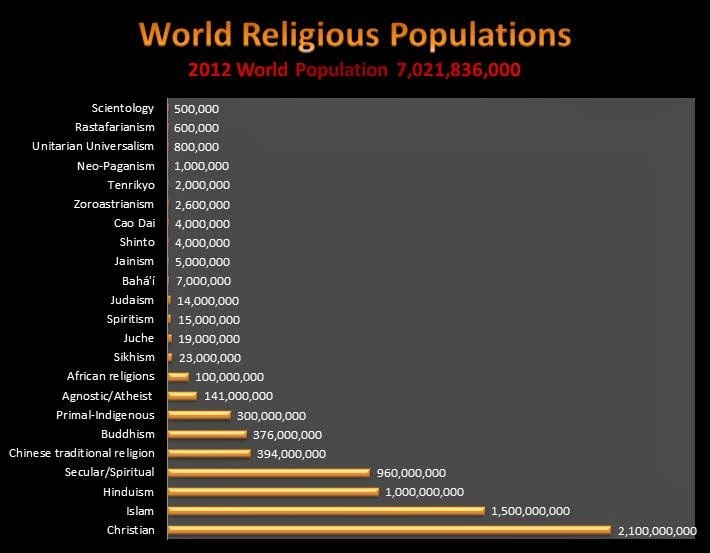 As of the early twenty-first century, it was estimated that 54% of the world's population (3.8 billion people) considered themselves adherents of the Abrahamism, while 30% of the world population practices other religions. 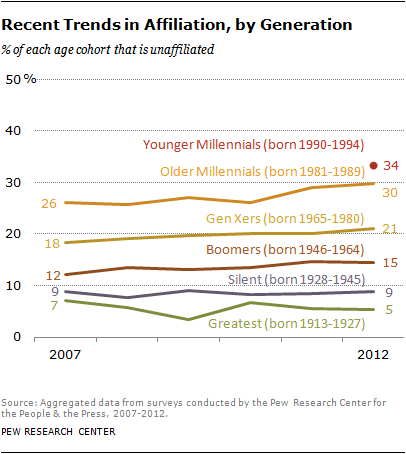 The remaining 16% of the world population follows no organized religion and this is the fastest growing segment, especially among young adults. The CIA's World Factbook gives the world population as 7,021,836,029 (July 2012 est.) 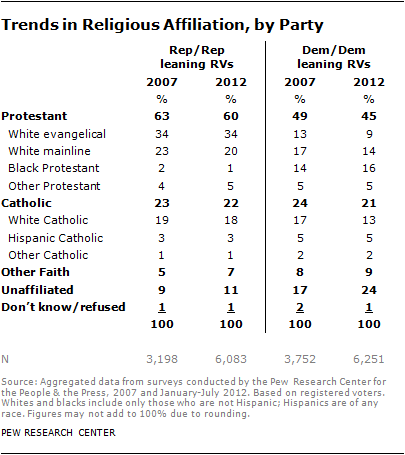 and the distribution of religions as Christian 31.59% (of which Roman Catholic 18.85%, Protestant 8.15%, Orthodox 4.96%, Anglican 1.26%), Muslim 23.2%, Hindu 15.0%, Buddhist 7.1%, Sikh 0.35%, Jewish 0.2%, Baha'i 0.11%, other religions 10.95%, non-religious 9.66%, and agnostics/atheists at 2.01%. Abrahamism's three major religions are Judaism, Christian, and Islam. I. Judaism is the theology of the descendants of Jacob, a grandson of Abraham. It has a strictly unitary understanding of God, and the central holy book for almost all branches is the Masoretic Text as revealed in the oral Torah. Judaism evolved into a small number of sects in the 19th Century, of which the most significant are Orthodox (Modern Orthodox Judaism and Haredi Judaism), Conservative (Masorti Judaism), and Reform. Orthodox Judaism adheres to the interpretation and application of the laws and ethics of the Torah as legislated in the Talmudic texts by the Tanaim and Amoraim. Orthodox Judaism generally includes Modern Orthodox Judaism and Haredi Judaism, but can include a wide range of philosophies. Orthodox Judaism is a modern self-conscious identification that, for some, distinguishes it from traditional premodern Judaism, although it was the mainstream expression of Judaism prior to the 19th century. Orthodox Jews and Jews affiliated with an Orthodox synagogue, accounted for approximately 50% of Anglo Jewry (150,000), 25% of Israeli Jewry (1,500,000) and 13% of American Jewry (529,000). Conservative Judaism (also known as Masorti Judaism outside of the United States and Canada) is a modern stream of Ashkenazi Judaism that arose out of intellectual currents in Germany in the mid-19th century and took institutional form in the United States in the early 1900s. Conservative Judaism has its roots in the school of thought known as Positive-Historical Judaism, developed in 1850s Germany as a reaction to the more liberal religious positions taken by Reform Judaism. The term conservative was meant to signify that Jews should attempt to conserve Jewish tradition, rather than reform or abandon it, and does not imply the movement's adherents are politically conservative. 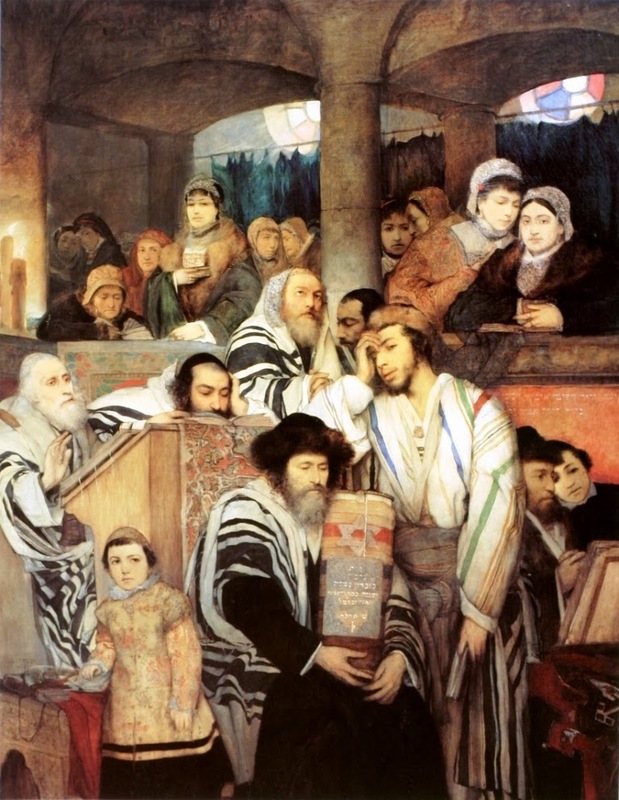 In many countries outside the United States and Canada, including Israel and the UK, it is today known as Masorti Judaism (Hebrew for "Traditional"). Reform Judaism refers to various Jewish beliefs, practices and organizations should be modernized and rendered compatible with participation in the surrounding culture. Jewish law, therefore, is undergoing a continual process of critical evaluation and renewal. Currently, Reformed Jews view the Masoretic Text as a set of general guidelines rather than as a list of constraints whose literal observance is required of all Jews. Similar movements that are also occasionally called "Reform" include the Israeli Progressive Movement and its worldwide counterpart. Gaudenzio Ferrari (1475–1546) painting: Stories of life and passion of Christ, fresco, 1513, Church of Santa Maria delle Grazie, Varallo Sesia, Italy. IMAGES: Top row: Annunciation, Nativity, Visit of the Three Magi, Flight to Egypt, Baptism of Christ, Raising of Lazarus , Entry to Jerusalem, Last Supper. Middle row: Washing of feet, Agony in the Garden, Arrest of Christ, Trial before the Sanhedrin, Trial before Pilate, Flagellation. 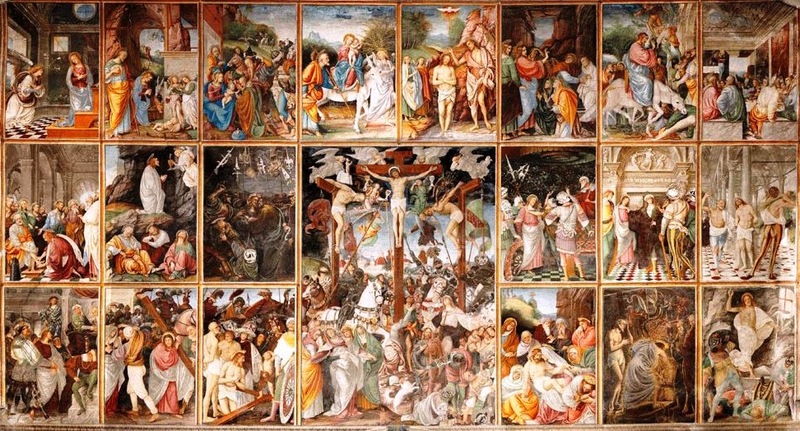 Bottom row: Ecce homo, Carrying the cross, Christ falls, Crucifixion, Deposition from the cross, Harrowing of Hell, Resurrection. II. Christianity began as a sect of Judaism in the Mediterranean Basin of the 1st century CE and evolved into a separate religion—the Christian Church—with distinctive beliefs and practices. Jesus is the central figure of Christianity, considered by almost all denominations to be divine, one person of a Triune God. The Christian Bible is usually held to be the ultimate authority, alongside Sacred Tradition in some denominations (such as Roman Catholicism and Eastern Orthodoxy). Over many centuries, Christianity divided into three main branches (Catholic, Orthodox, and Protestant), dozens of significant denominations, and hundreds of smaller ones. The Catholic branch is the world's largest Christian church, with 1.2 billion members. The hierarchy includes cardinals, arch-bishops, bishops, monsignors, priests and is led by the Pope also known as the Bishop of Rome. The Catholic sect teaches that it is the one true church divinely founded by Jesus Christ and the clergy are the successors of Christ's apostles. The Pope is considered to be a successor of Saint Peter, the first Bishop of Rome and is empowered with supreme authority over the Church. The Church maintains that the Papal issued doctrine on faith are infallible. 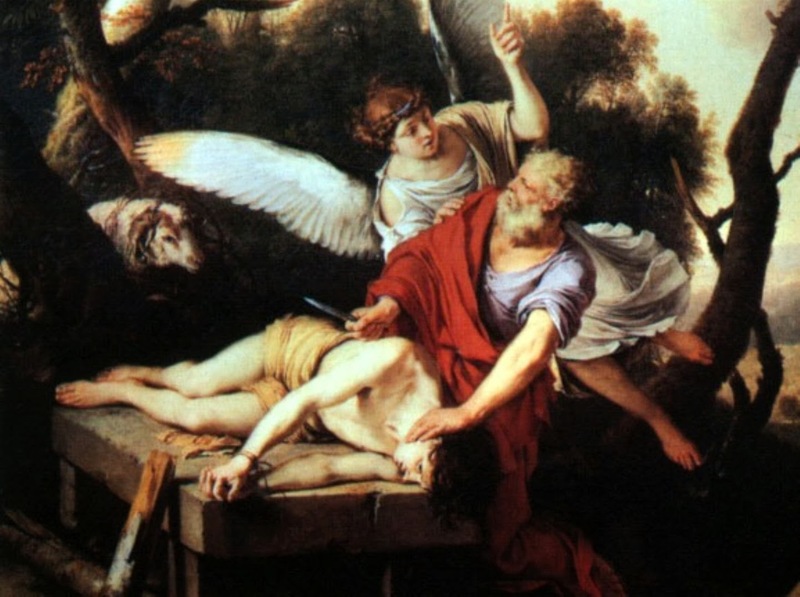 Unlike the other two Abrahamic religions, the Catholic Church is Trinitarian, claims “three persons in the monotheistic God of Abraham: God the Father, God the Son, and God the Holy Spirit. Catholicism defines its mission as spreading the Gospel of Jesus Christ, administering (which is taken from the Codex Vatinicus – Circa 325 CE), the sacraments and exercising charity. Its core doctrines are expressed in the Nicene, Athanasian and Tridentine Creeds. Catholic worship is highly liturgical, focusing on the Mass in which the sacrament of the Eucharist, consecrated wine and bread by a validly ordained priest the bread and wine becomes the body and blood of Jesus Christ, God the Son. This mystical change is called transubstantiation. The Catholic Church practices the feeding of the transubstantiated bread and wine (Holy Communion) to only baptized members of the Church, aged 7+, and in a state of grace. Catholicism also holds that Mary, the mother of Jesus Christ, was a virgin at the Son of God’s birth. The church defines four specific Marian dogmatic teachings, namely her Immaculate Conception without original sin, her status as the Mother of God, her perpetual virginity and her bodily Assumption into Heaven at the end of her earthly life. The Orthodox Catholic Church,is the second largest Christian church in the world, with an estimated 225–300 million members that primarily reside in the Balkans, Eastern Europe, and the Middle East. It teaches that it is the One, Holy, Catholic and Apostolic Church established by Jesus Christ in his holy Commission to the disciples almost 2,000 years ago. The Church's structure is composed of several self-governing ecclesial bodies, each geographically (and often nationally) distinct but unified in theology and worship. Each self-governing body, often but not always encompassing a nation, is shepherded by a Holy Synod whose duty, among other things, is to preserve and teach the apostolic and patristic traditions and related church practices. Like the Catholic Church, the Orthodox bishops trace their lineage back to the apostles through the process of apostolic succession. The Orthodox Church traces its development back to the earliest church established by St. Paul and the Apostles, through the ancient Roman Empire and its continuation the Byzantine Empire. It regards itself as the historical and organic continuation of the original Church founded by Christ and His apostles. It practices what it understands to be the original faith passed down from the Apostles. In non-doctrinal, non-liturgical matters the church has always shared in local cultures, adopting or adapting traditions from among practices it found to be compatible with the Christian life, and in turn shaping the cultural development of the nations around it, including Greek, Slavic, Romanian, Middle Eastern, North African, British, Saxon, and Celtic peoples. Through baptism, Orthodox Christians enter a new life of salvation through repentance, whose purpose is to share in the life of God through the work of the Holy Spirit. Christian life is a spiritual pilgrimage in which each person, through the imitation of Christ and hesychasm, cultivates the practice of unceasing prayer. This life occurs within the life of the church as a member of the Body of Christ. It is through the fire of God's love in the action of God the Holy Spirit that the Christian becomes more holy, more wholly unified with Christ, starting in this life and continuing in the next. Born in God's image, each person is called to theosis, fulfillment of the image in likeness to God. God the creator, having divinity by nature, offers each person participation in divinity by cooperatively accepting His gift of grace.The Orthodox Church, in understanding itself to be the Body of Christ, and similarly in understanding the Christian life to lead to the unification in Christ of all members of his body, views the church as embracing all Christ's members, those now living on earth, and also all those through the ages who have passed on to the heavenly life. The church includes the Christian saints from all times, and also judges, prophets and righteous Jews of the first covenant, Adam and Eve, even the angels and heavenly hosts. In orthodox services, the earthly members together with the heavenly members worship God as one community in Christ, in a union that transcends time and space and joins heaven to earth. This unity of the Church is sometimes called the communion of the saints. Protestantism encompasses forms of Christian faith and practice that originated with doctrines and religious, political, and ecclesiological impulses of the Protestant Reformation against the Catholic Church. The term refers to the letter of protestation by Lutheran princes against the decision of the Diet of Speyer in 1529, which reaffirmed the edict of the Diet of Worms condemning the teachings of Martin Luther as heresy. However, the term has been used in several different senses, often as a general term to refer to Western Christianity that is not subject to papal authority, including some traditions that were not part of the original Protestant movement; a "branch" of Christianity. The Protestant movement is considered to have begun in 1517 when Luther published The Ninety-Five Theses as a reaction against medieval doctrines and practices, especially with regard to salvation, justification, and ecclesiology. The various Protestant denominations share a rejection of the authority of the pope and generally deny the Catholic doctrine of transubstantiation, although they disagree among themselves about the doctrine of Christ's presence in the Eucharist. They generally emphasize the priesthood of all believers, the doctrine of justification by faith alone (sola fide) apart from good works, and a belief in the Bible, rather than Catholic tradition, as the supreme authority in matters of faith and morals (sola scriptura). Today, there are over 33,000 Protestant denominations. 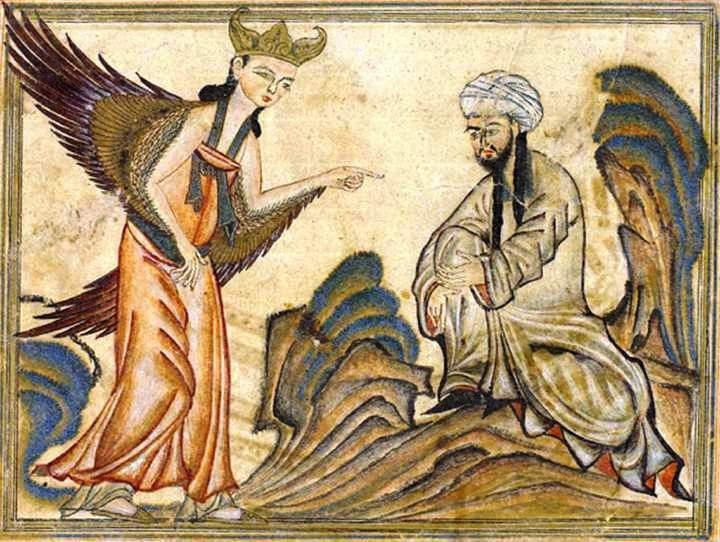 A vellum illustration from the book Jami' al-Tawarikh of Muhammad receiving his first revelation from the Angel Gabriel, by Rashid al-Din, published in Tabriz, Persia, 1307 CE. The book is now in the collection of the Edinburgh University Library, Scotland. III. Islam arose in Arabia in the 7th century CE with a strictly unitary view of God. Muslims (adherents of Islam) typically hold the Qur'an to be the ultimate authority, as revealed and elucidated through the teachings and practices of a central, but not divine prophet, Muhammad. Soon after its founding Islam split into two main branches (Sunni and Shi'a), each of which now have a number of denominations. Lesser-known Abrahamic religions, originally offshoots of Shi'a Islam, include the Bahá'í Faith and Druze. Sunni Islam is the largest branch of Islam; its adherents are referred to in Arabic as ahl as-sunnah wa l-jamāʻah (Arabic: أهل السنة والجماعة‎), "people of the tradition of Muhammad and the consensus of the Ummah" or ahl as-sunnah (Arabic: أهل السنة‎). For short, in English, they are known as Sunni Muslims, Sunnis, and Sunnites. Sunni Islam is the world's largest religious body and largest religious denomination for any religion in the world. Sunni Islam is sometimes referred to as the orthodox version of the religion. The word "Sunni" is believed to come from the term Sunnah (Arabic: سنة‎), which refers to the sayings and actions of the Islamic prophet Muhammad as recorded in hadiths. The primary collections consisting of Kutub al-Sittah accepted by Sunni orthodoxy, in conjunction with the Quran and binding consensus, form the basis of all jurisprudence within Sunni Islam. Laws are derived from these basic sources; in addition, Sunni Islam's juristic schools recognize differing methods to derive verdicts such as analogical reason, consideration of public welfare and juristic discretion. 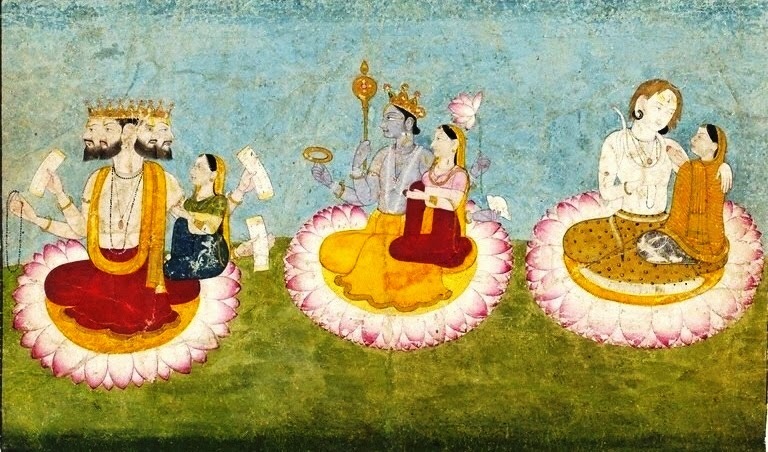 Brahma, Vishnu and Shiva seated on lotuses with their consorts, Saraswati, Lakshmi and Paravati respectively. circa 1770, from Guler, India. The three greatest Hindu deities are shown here together with their consorts. They are sometimes regarded as a trinity, who together represent aspects of the supreme godhead. The four-headed Brahma, holding copies of the oldest Indian sacred scriptures, the Vedas, together with his consort Saraswati, symbolises the power of creation. Next to him the blue Vishnu, with his consort Lakshmi, represents the energy that upholds and preserves creation. To their right Shiva, with his wife Parvati, embodies the power of destruction. All three divine couples sit on lotus flowers, which are one of the most ancient Indian symbols of purity and spiritual power. This painting may have been made for the enjoyment of a local nobleman or ruler and was probably the work of local artists in north-west India. Dharmic religions are the religions that originated in the Indian subcontinent; namely Hinduism, Jainism, Buddhism and Sikhism. Although these religions are connected through the history of India, they constitute a wide range of religious communities, and are not confined to the Indian subcontinent. Song Dynasty painting illustrating the theme "Confucianism, Taoism and Buddhism are one". 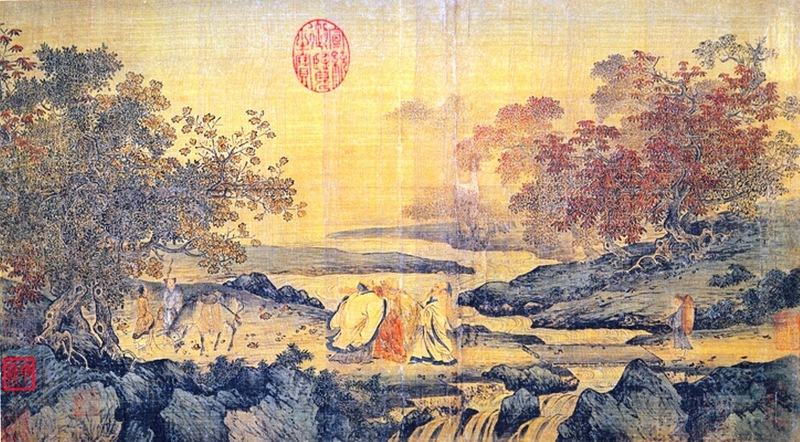 This Litang style painting depicts Taoist Lu Xiujing (left), official Tao Yuanming (right) and Buddhist monk Huiyuan (center, founder of Pure Land) by the Tiger stream. The stream borders a zone infested by tigers that they just crossed without fear, engrossed as they were in their discussion. Realising what they just did, they laugh together, hence the name of the picture,Three laughing men by the Tiger stream. Taoism (modernly Daoism) is a philosophical, ethical, and religious tradition of Chinese origin that emphasizes living in harmony with the Tao (also romanized as Dao). The term Tao means "way", "path" or "principle", and can also be found in Chinese philosophies and religions other than Taoism. In Taoism, however, Tao denotes something that is both the source and the driving force behind everything that exists. It is ultimately ineffable: "The Tao that can be told is not the eternal Tao." Abrahamism Holy Book Provenance - So could a Jewish, Christian, or Muslim scholar or theologian explain why humans have battled for two millenniums over the different interpretations of these Holy Books” when all three theologies fail to produce even one primary source? Why can't we just respect each other’s faith and follow the ethic of reciprocity, a moral maxim, better known as the Golden Rule?